“My mother very much appreciates her studio overlooking the ravine; she enjoys the changing scenes of the 4 seasons. You can feel the spirit of a small community supporting each other. We appreciate the fact that the Kitchen Manager and his team are keen to listen to feedback from residents and are always thriving to improve and vary the recipes… Especially on Sunday nights, enjoying a glass of wine and a filet mignon, that’s what makes all the difference!!! I hope these testimonials are reassuring all the seniors that are worried about their upcoming move to a retirement home. I think this step in life should be viewed as a positive way to treat yourself to the good life! 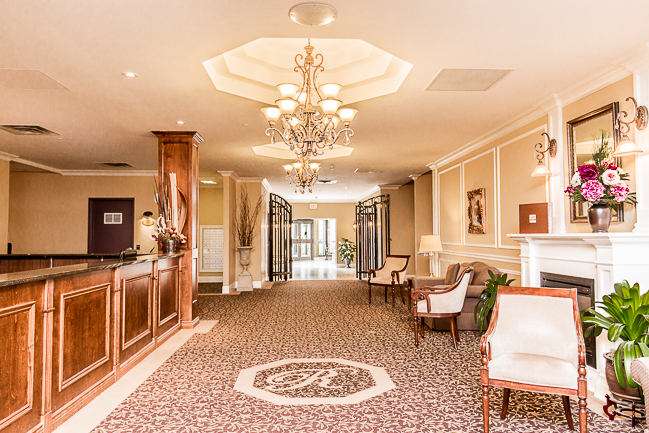 Royal Garden retirement residence has been designed for the gracious retirement lifestyle you are looking for. We built the very best! In being a family enterprise, we’re very pleased to be the leading option in retirement living. © 2019 Jardin Royal Garden. All Rights Reserved.